The modern Frisbee has been around to facilitate athletic activity for several decades. Its popularity base used to be centered in America, but it has since been moving forward and expanding. Ultimate, or, as it is more commonly known, ultimate frisbee, is a competitive sporting activity whose gameplay revolves around (as one can imagine) the flying disc! The sport is also widely-played on a recreational “catch” level with omitted/alternative rules. In competitive ultimate, a group of players work together to pass the floating disk down a field of play and towards a scoring “end zone”, hoping to accumulate points. This occurs while an opposing team runs defense and interception of the disk, usually while it is in flight. A variety of rules, regulations, and mechanics exist as a part of the modern rendition of this sport to create challenging, balanced, and exquisite gameplay. The sport itself has roots dating back only about as far as the mid-late 20th Century, originating in the modern United States. Frisbees have gone through many different renditions and revisions over the past century to refine, stylize and modernize aerodynamic design. Modern Frisbees have a more clean-cut, stylish look to them compared to earlier models. The modern Frisbee game was created as a part of the “American counterculture” phenomenon of the 1960s, but the disc from which the name is derived came about in a slightly more extensive way. In 1938, a man named Fred Morrison unearthed a business opportunity while tossing a cake pan along a beach with his future wife Lucile. To Morrison’s surprise, a dormant market for flying saucers was apparently waiting to be awoken, and over the next several years, he was able to build a business out of his discovery. World War II threw a momentary wrench into Morrison’s plans, within a few decades, the idea had taken off. Morrison sold the rights to his “Wham-O” flying disc in 1957 and it was appropriated by Richard Knerr who added the brand name “Frisbee” to improve sales. 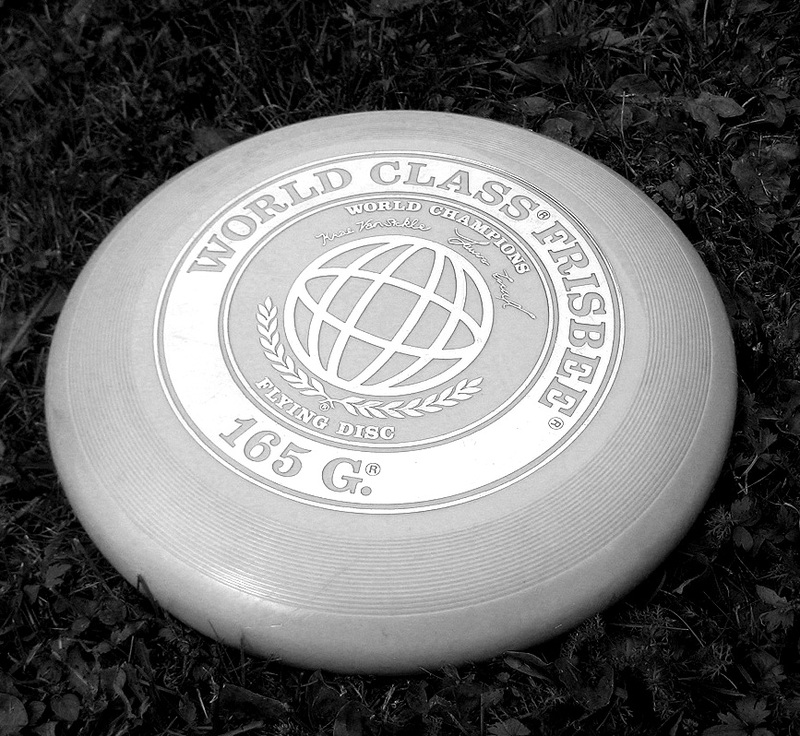 In design and usage, the modern Frisbee resembles the ancient “discus” in multiple ways. The discus was invented in B.C. times and used in an ancient Olympic event known as the “discus throw.” The modern version of this activity is categorized as a track-and-field event, and involves athletes hurling heavy or weighted discs a great distance. Obviously, Ultimate varies from this sport significantly, but a connection could be made between the disk-like equipment designs that is used extensively in both. When a team member catches the (thrown) disc in the opponent’s end zone, that team scores a point. Running with the disc held is disallowed – it may be moved only by passing. This rule against “travelling” is also common in most basketball. The rule on interception as seen in American football is also common in Ultimate, and possession is immediately turned over. This also stretches over catches that are made out of bounds, or if the Frisbee is knocked out of the air. Ultimate is a non-contact sport, and defenders must make clean interceptions on throws in order to get possession. They are also not allowed to forcibly take the disc if it has been caught by a player. Perhaps most unique in this sport, Ultimate is “self-refereed”, thus relying on the honesty of the players to call their own infractions, and to try to play within the rules of the game at all time. This has been a common theme of Ultimate even after so many years of play, and it will likely continue to be a key component of the game. 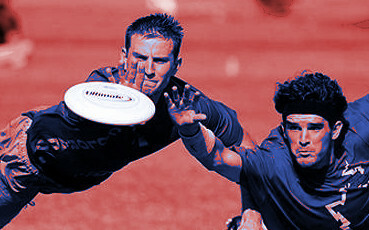 For more information on ultimate as a sporting phenomenon, check out http://www.whatisultimate.com/ for details. It is conceivable that some sports savants would believe that the game’s competitive nature is diminished by the lack of nonpartisan, officiated referees, and that the expectation on other players to call their own fouls is inherently devaluing. On the contrary, it is mechanics like this in sporting activities like Ultimate that keep classic sportsmanship and integrity alive in the modern world. This entry was posted in Fitness/Wellness, Other and tagged frisbee, frisbee history, frisbee sport, sport, sports, sports and fitness, sports and recreation, Sports Archives, Sports Blogs, sports history, sports performance, ultimate, ultimate frisbee. Bookmark the permalink.